Our site is not intended for children under 13 years of age. We do not knowingly collect personal information from children under 13. If you are under 13, do not use or provide any information on this Website or on or through any of its features/register on the Website, make any purchases through the Website, use any of the interactive or public comment features of this Website or provide any information about yourself to us, including your name, address, telephone number, email address, or any screen name or user name you may use. Information We Collect Through Automatic Data Collection Technology. As you use our Website, we may use automatic data collection technologies including Google Analytics to collect certain information about your equipment, browsing actions, and patterns. This will generally include information about your location, your traffic pattern through our website, and any communications between your computer and our Website. Among other things, we will collect data about the type of computer you use, your Internet connection, your IP address, your operating system, and your browser type. We are committed to keeping your email address confidential. We do not sell, rent, or lease our subscription lists to third parties, and will not disclose your email address to any third parties. In compliance with the CAN-SPAM Act, all emails sent from our organization will clearly state who the email is from and provide clear information on how to contact the sender. In addition, all email messages will also contain information on how to remove yourself from our mailing list so that you receive no further email communication from us. All of our emails provide users the opportunity to opt-out of receiving communications from us and our partners by reading the unsubscribe instructions located at the bottom of any email they receive from us at anytime. The Company collects your information in order to record and support your participation in the activities you select. If you register to download resources, sign up for our newsletter, and/or purchase a product from us, we collect your information. We use this information to track your preferences and to keep you informed about the products and services you have selected to receive and any related products and/or services. As a visitor to this Website, you can engage in most activities without providing any personal information. It is only when you seek to download resources and/or register for services that you are required to provide information. By completing any form on the Website you agree to receive our newsletter. If you do not wish to receive this newsletter, you can unsubscribe anytime. We include an “unsubscribe” link at the bottom of every email we send. 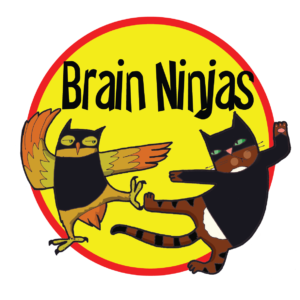 If you ever have trouble unsubscribing, you can send an email to brainninjastpt@gmail.com requesting to unsubscribe from future emails.